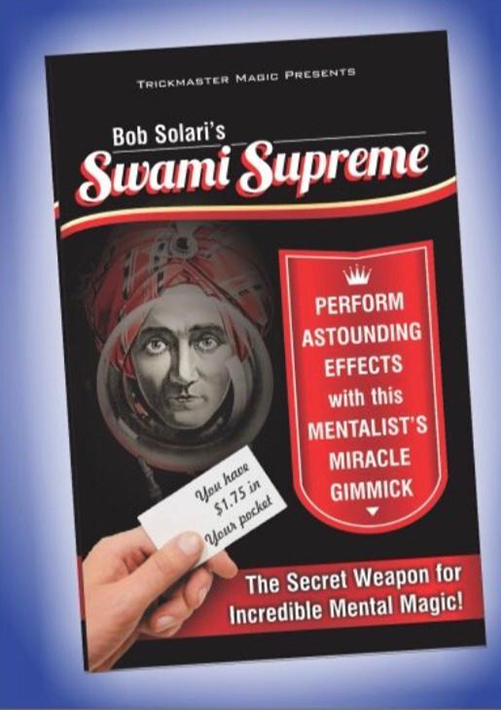 Swami Supreme is Bob Solari’s version of a special mindreading device previously known as Swami Secure. This secret device allows you to make impossible predictions and perform incredible feats of mentalism. The enclosed instructions will teach you several effects possible with this ingenious device. Get ready to amaze and mystify! Includes secret device and wax pencil.